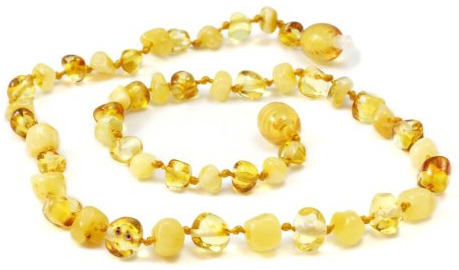 A gorgeous Baltic Amber Teething Necklaces is both stylish and helps promote healthy gums for baby while teething. Crafted from beads of true baltic amber, a fossilized resin that when put against the skin, your baby’s warmth will release healing oils that offer anti-inflammatory and analgesic benefits. Soothe your little one’s teeth and provide some added style while you’re at it.